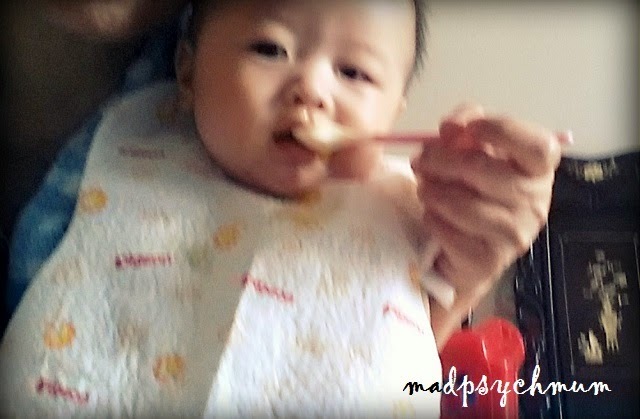 We have started introducing solid food to Baby Boy since he turned 5.5 months, a few months ago. It began with pureed apple and banana, which he immediately spat out. "Maybe he's not ready for food yet," I told my mum-in-law in Chinese. However, he seemed to be perfectly okay with cereal and pureed pumpkin porridge that we had introduced him later. It turns out, he does not like apples or bananas or fruits of any kind for that matter! 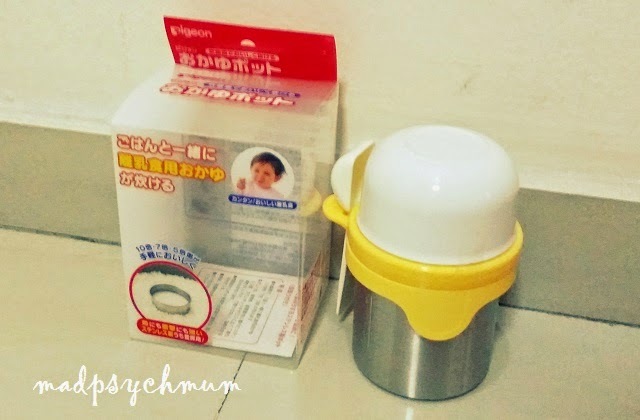 Now that we have to put effort into preparing Baby Boy's food (there's zero preparation required when I'm breastfeeding directly) and feeding him, it does help to have some useful tools to aid us. If you're rushing for time, you could also use an electrical hand blender instead of preparing the food manually. It's more expensive but you'll be able to save time and make a larger batch of food to store for future. If you think that this is another ordinary container, well, think again. 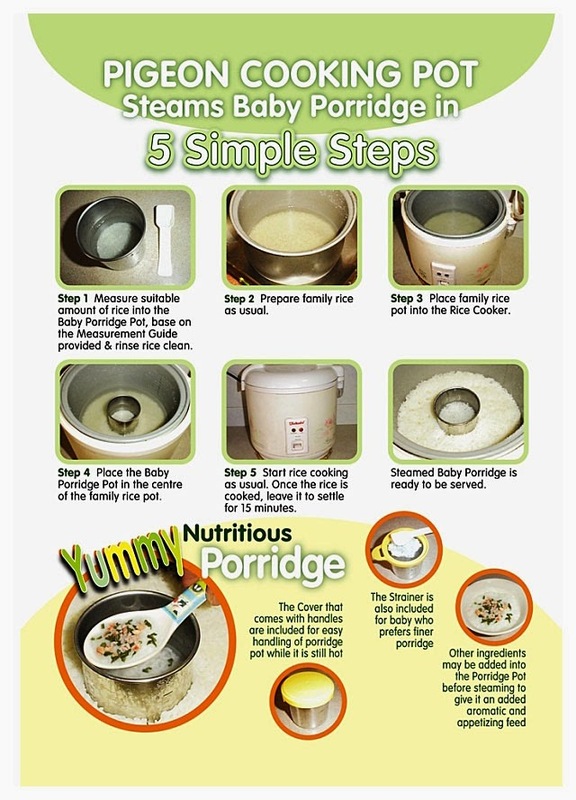 This container actually helps you to make porridge in a rice cooker while you're cooking rice for the family! My mum and mum-in-law, the ones who does most of the feeding of my boy (lucky me I know *laughs*), tell me that Pigeon Feeding Support Spoons are better than ordinary spoons as it fits perfectly into Baby Boy's tiny mouth. 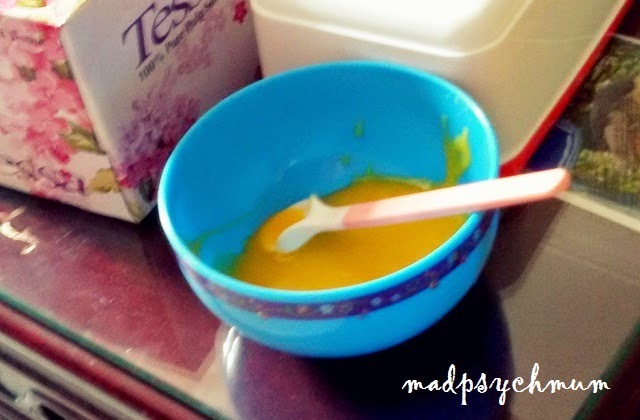 This is vital, especially for babies that are still learning to sip and swallow. Feeding can be a very messy affair as babies are still learning how and what to eat. If your baby is in the beginning stages of weaning, make sure that you get bibs that are absorbent as most of their food will be watery. You may even consider getting the Pigeon Disposable Bibs, which allow you to throw them away after every use. As your baby progresses to eating less pureed food, you may want to get a bib that can collect the food that is dropped from your babies mouth onto his lap. 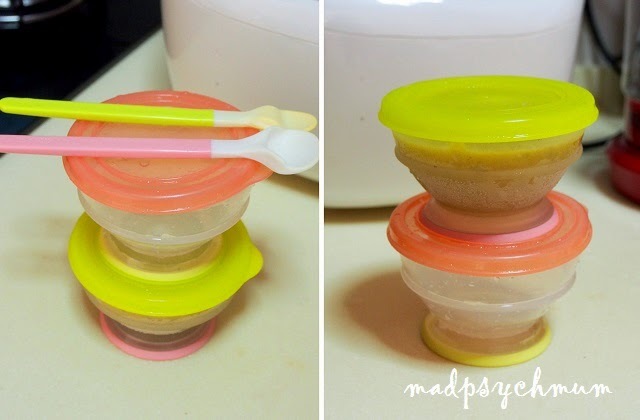 A great tip that I've learnt from fellow mummies is to cook a big batch of baby food and freezing them, after which you can heat them up when its needed. We use a combination of various baby containers (which were also used to hold my breast milk) and Pigeon Feeding Support Set. 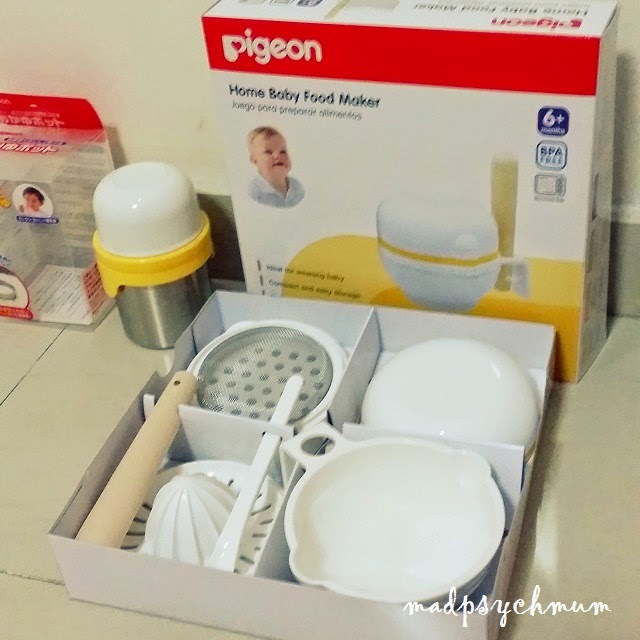 Another useful container that we like to use is the Pigeon Feeding Dish, which is great for transporting baby food when out and about with the baby. 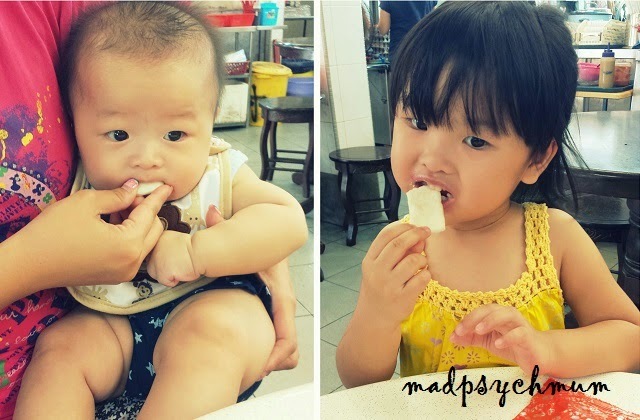 I don't know about you but my babies have always been big foodies. Even after a heavy meal of pureed porridge and breast milk, sometimes Baby Boy still wants to chew on something. So we give him some Pigeon Baby Crackers (he's not old enough to eat biscuits yet as he doesn't have teeth) to snack on. Both Baby Boy and even my girl loves the baby snacks! Both my kids love Pigeon Baby Crackers! 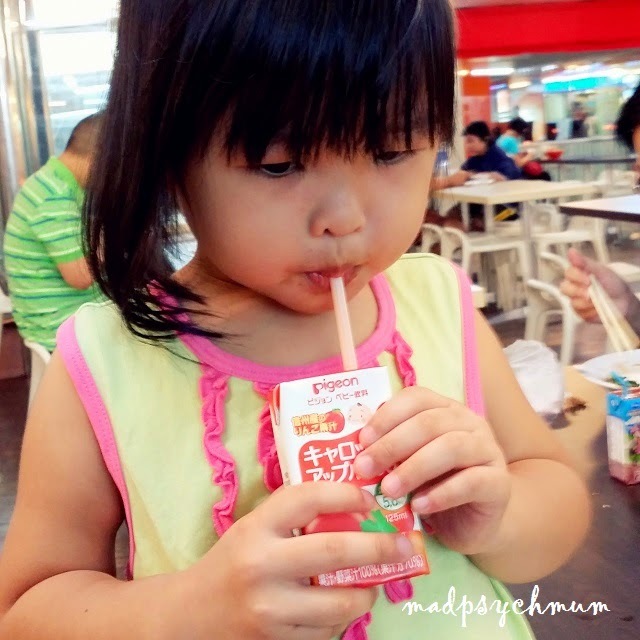 My kids love the food and drinks and it's really convenient to take around with us when we're travelling. Related Post: If you're preparing for baby and breastfeeding, check out My Must Have Tools for Breastfeeding. 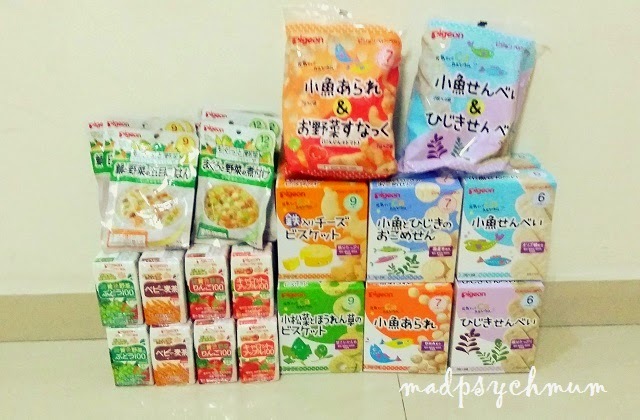 Disclosure: Complimentary 1-year sponsorship of mother and baby products were received from Pigeon Singapore for the purposes of this blog post feature. No monetary compensation was received; all text and opinions are my own.